Here is the thing, I'm beyond smitten with this vegan cork tote bag that is having a kickstarter campaign right here, right now! 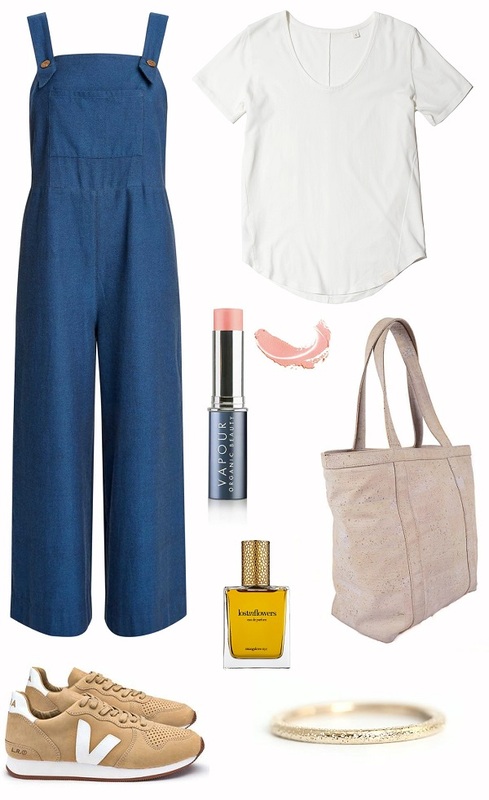 Above: Uvee tee by Loomstate - Nubuck sneaker - Vapour Organic Beauty multi-use stain in 'scandal'- Jumpsuit by People Tree - The cork bag by Eba Totes - Andrea Bonelli's stardust ring - Strange Love NYC 'silence the sea' eau de parfum. 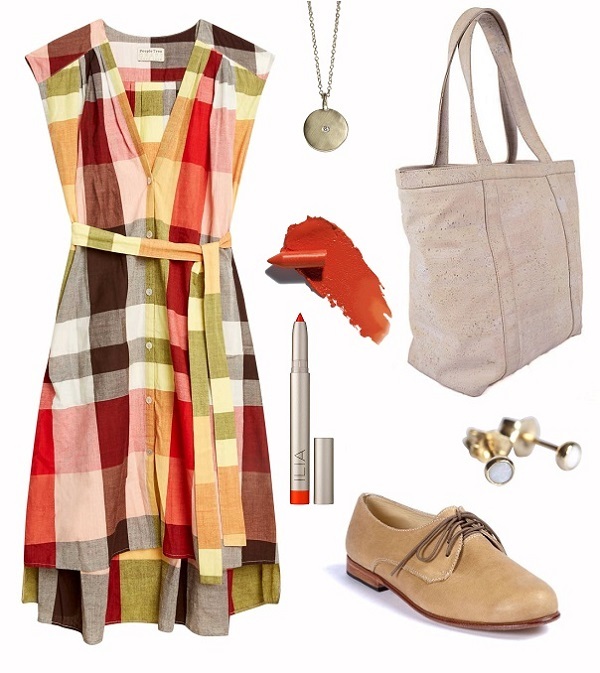 Yoshiko dress by People Tree - The cork tote by Eba Totes - Hyalite necklace by Rebecca Mir Grady - Oxfords by Nisolo - Satin cream lip crayon in 'push-it' by ILIA - Rebecca Mir Grady's opal studs. Marti blouse by Armedangels - Paddle earrings by SOKO - Marley trousers by People Tree - Ecuador Huarache sandals - The cork tote by Eba Totes - Wild with Desire lipstick in 'unbridled passion' by rms. P.S: Would you wear the same thing every day? Love that dress in the second one.